Explain this to me. Christmas seems to start earlier every year with gifts, decorations, and all the other paraphernalia available in stores as early as August, and yet for me buying presents for my family and friends descends into a mad dash at the end of which nobody ever ends up with anything they want to keep. Past gift guides on this web site have been among its most popular pages, so the fact I invariably put it up with a week, or less, to go until the big day seems to work for people who apparently find themselves in a similar boat to me - i.e. in need of some last-minute inspiration. And readers seem to appreciate the items that appear, probably because it's not just stuff companies send and I blindly include without so much as opening the box. This is stuff I actually own, use and recommend. Chances are if you're buying a set of irons or a new driver for the golfer in the family, you've already got it. What you see below are things that might squeeze into a stocking and, yes, could be considered 'last-minute' gifts - though with a whole week to go I don't think it 's last-minute quite yet. But, like I say, these are not thoughtless gifts, not cheap tat you spent two minutes shopping for and hope to get away with. Most of these items may be inexpensive, but I can attest they are worthy. Today may be the last day of online shopping to guarantee delivery by Christmas, so get busy. And while you're shopping, do look in at our local courses and pro shops where you'll not only find great merchandise but also gift cards and certificates. And friendly service. Lake Padden gift cards are available here. Call Joe Holdridge (Joe Pro) at 360-752-3337 to purchase gift certificates over the phone. Likewise give Brian Kruhlak at Sudden Valley a call on 360-734-6435 for gift cards and certiicates good for pro shop merchanidise or rounds of golf. Gift certificates for North Bellingham can be purchased here. 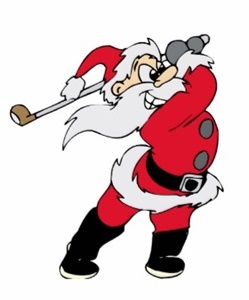 And you can get gifts cards for Pro Golf Discount on the Guide Meridian by calling 425-641-6766. Read this book without having seen the front cover (tricky, I know) or checking out the author's bio and you'd swear it was written by a veteran travel writer whose ability to mix humor and insight had been much-admired for years. Truth is, Dylan Dethier was 17 when he wrote this, his first ever book. There is something ghastly and almost offensive about highly-conspicuous, highly-expensive training aids that make you look a bit stupid when trying to operate them, whereas there is beauty in the simple, small, inobtrusive, inexpensive, user-friendly device. This little thing won't draw attention on the practice green, really works and costs less than ten bucks. Brilliant. Go to the Vice Golf web site and you see a cool flow chart showing how the various stages of development add another layer to the cost of golf balls. Vice Golf balls compare favorably with just about anything else on the market but cost significantly less because: 1) Vice has fewer models in its range than other companies 2) Doesn't pay Tour player endorsements 3) Sells directly from its web site 4) the company gives significant discounts for bulk-buying. Vice Golf is a new company beginning to take off and by offering a combination of quality and price point, there's no reason it won't be around for a long time. 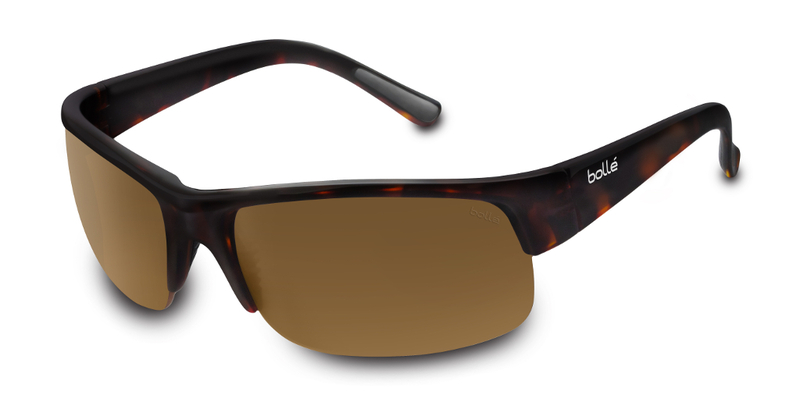 Bolle says: The Ransom is definitely in demand, delivering crystal clear vision with durable, lightweight frames. bClear lenses optimizes your vision repelling dirt, smudges, debris, moisture so you can clearly see what’s ahead. Thermogrip nose pads and temple tips keep frames snug and in-place. Premium nylon frames ensure your sunglasses will outlast every adventure. BellinghamGolfer says: They're cool, and Lee Westwood wears them. Not inexpensive at $139.99, but a really nice pair of sunnies. Not an awful lot to tell you here other than this is very good. I don't have much golf fiction in my library probably because there isn't much golf fiction as enjoyable as this. Author J. Michael Veron was described as 'Golf's literary rookie of the year' by the New York Times. 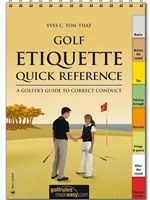 And if you buy it at Classicsofgolf.com you can get a 25% discount when you enter the code 'darwin' at checkout. You play the game properly, with the spirit in which it's meant to be played, and always with respect for your partners and opponents. You know how to play safely and leave the golf course as you found it - free of divots, sand raked, and ball marks repaired. You know how to conduct yourself and are always good company. But maybe your teenage son or daughter, who is new to the game, isn't. Maybe he/she enjoys playing golf but hasn't yet mastered how to behave on the course. Nothing beats years of watching and observing dad (or mom) do it right, but Yves Ton-That's Quick Reference Guide ($12.95) will help speed up the process. 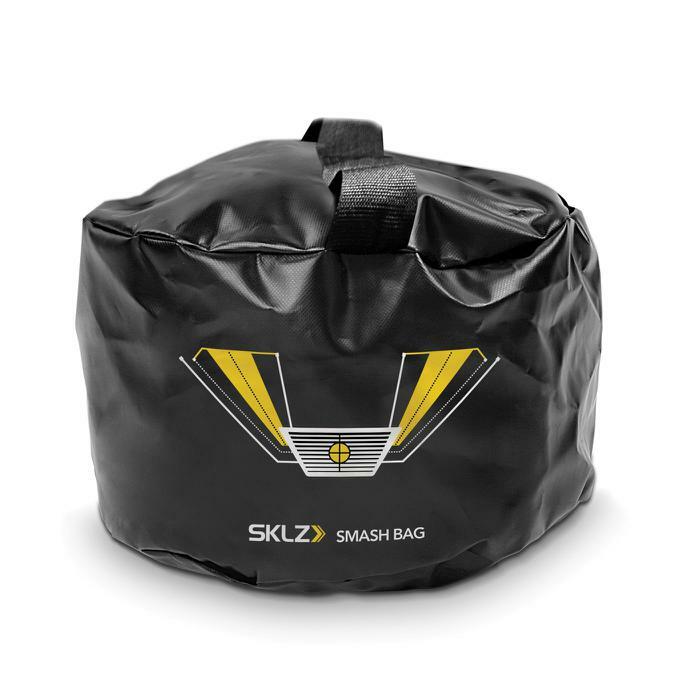 The three most effective 'gadgets' practice ranges have seen over the years are surely the T-Square or alignment aid, the weighted club, and this, the impact bag or, in this case, the Smash Bag ($24.99). You'll know when you make solid contact with the bag, and when you do you'll feel your hands are ahead of the clubface at the moment of impact and the clubface is square. Take that to the course and watch that handicap index tumble. 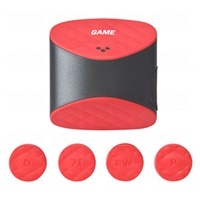 GPS watches aren't exactly replacing GPS units or laser rangefinders, but they are certainly becoming more popular as they satisfy the tech-savvy golfer who likes to have the sort of information these devices offer. The Izzo Swami ($129.95) has the lowest MSRP of any GPS watch I found, and is perhaps the 'entry-level' product though don't mistake 'entry-level' for plain, dull, or oridinary. It isn't any of those things and probably has everything you need. 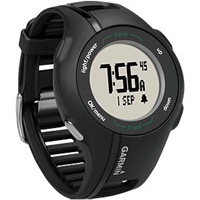 The Garmin Approach S1 ($149.95) gives three weeks of battery life in watch-mode and eight hours in GPS-mode. 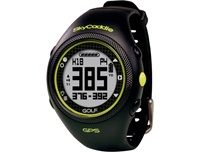 The SkyCaddie Watch ($169.95) has a calorie-counter and lap-counter as well as the golf features. You need to try this. There are so many performance apps and gadgets available, most of them excellent. Game Golf ($199) is definitely one of my favorite though. Just tap the sensor you place on the end of your club to the control unit on your belt and an incredible amount of information is stored which you can analyze later on your PC or smart phone. It records driving distance, greens in regulations, putts per round, and plenty more, giving you a clear indication of what areas of your game need the most work. I used to wear a lot of Ashworth back in the '90s when two of my favorite players - Fred Couples and Ernie Els - wore the brand (yes, I was young and impressionable). Then, in 1997, John Ashworth sold all his stock in the company he founded and the brand sort of disappared. It resurfaced seven years ago when Ashworth returned as a consultant. And, boy is it making some sweet threads now. This is one of many styles ($70) in the Ashworth catalogue I'd happily be seen out in. Crafted from 100% surgical-grade silicone, Power Balance wristbands ($29.99) contain negatively-charged ions which are said to help with the flow of energy enabling you to perform better for longer. Whether you understand the science/philosophy behind them doesn't really matter. Feeling more energy and shooting lower scores certainly do though. 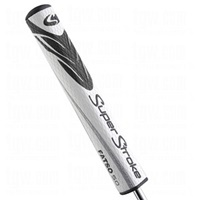 We've all seen them and how effective they are for so many golfers. Why don't you try taking the wrist out of your putting with the Super Stroke, and hopefully holing some more putts as a result? 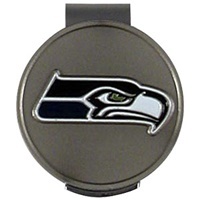 What self-respecting Pacific Northwest golfer wouldn't be happy with one of these clipped to his hat? 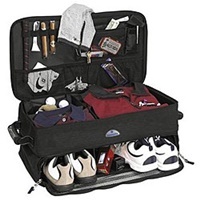 $10.95 at Amazon. Go Hawks! 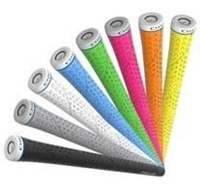 Champ is best-known for spikes and cleats but is branching out into grips, with the C8 at the top of its line. Infused with Kevlar, the C8 is incredibly durable, and a tacky compound makes it effective in all conditions. Fancy colors too. $15.99 is a lot for a grip, but don't forget the Kevlar. 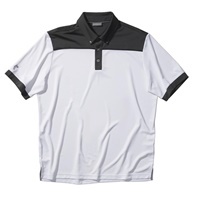 Get this...for $45 a month (one, three, six and twelve-month options available), you receive a box in the mail full of top-quality golf goodies (magazines, balls, clothing, books, accessories, gloves, etc) worth well over $100. For the family golf addict, that sounds like a bit of no-brainer. 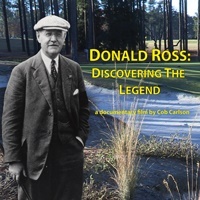 A fascinating and very well-made film by producer Cob Carlson documenting the huge impact Donald Ross, designer of Pinehurst No. 2 and over 400 other US Courses, had on America's golfing landscape. A must-see ($20) if you happen to be a bit of an architecture nerd.